Something special is on the way! LocalFirstBank.com is getting a whole new look on May 1, with great features that make everything easier to find. We can’t wait to show you what we’ve been working on. It’s no secret that North Carolina is a hotbed of business and population growth in the Southeast. Its cities are repeatedly chosen as one of the best places to live, work, raise a family, or go to school. 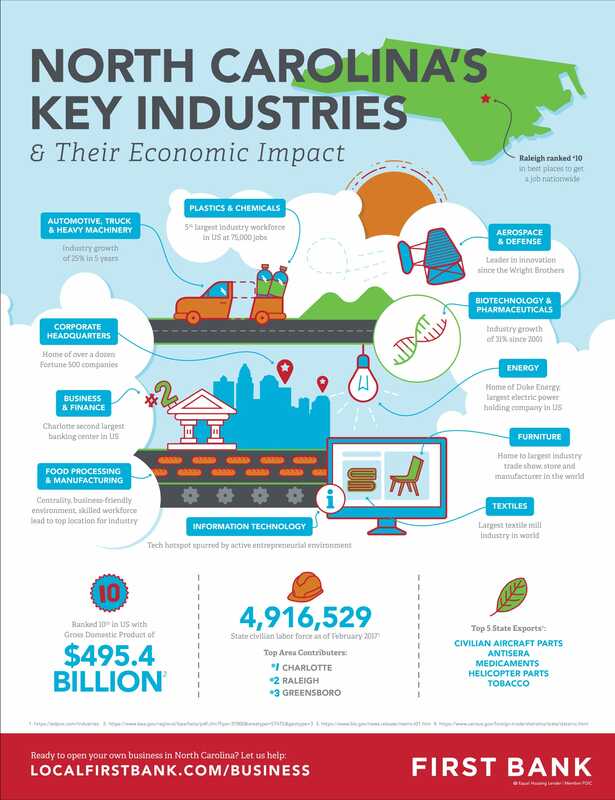 We take a look at our home state’s key industries and the economic impact in 2017. Sign up for a free small business financial consultation.